To enter into this story you don’t have to be in Venice nor do you have to cross the threshold of Palazzo Foscari Contarini. You can simply go on line from wherever you are and look for that which interests you the most. We are here and elsewhere, continually. This is not a normal pavilion of the Biennial and it is not an event. We are at the beginning of a grand narrative which is taking place in the real time of the Internet. It’s no longer time for surfing, but for immersion. Where online and offline are no longer separated. We are already here, continually. The Internet Saga penetrates through the screens, the windows and the courtyard of the only Burger King restaurant in Venice, like a second level of reality. A ray of light passes through the chambers of this 16th century palace transformed into a fast food restaurant. Simultaneous autonomies: the story of Venice, the abyss of the Internet, the time for a sandwich. And we are already in a different place. At the end of the Canal Grande, in the darkness of the projection of the new Spazio Ridotto, where the images of a lifetime flow at the speed of the cinema. Endlessly. The inspirator of the tale is Jonas Mekas (Biržai, 24 December 1922). It is to him, a man who has journeyed through the history of moving images both on and offline, who we turn to in an attempt to trace the origins of the new era in which we are living. A Lithuanian artist and poet who moved to New York at the end of 1949, Mekas has had a fundamental role in the development of independent cinema. From the pages of The Village Voice and of Film Culture – a magazine founded together with his brother Adolfas – he tells the story of the emergence of a heterogeneous scene, united by opposition to the dynamics of Hollywood. Through the Film-Makers’ Cooperative (1962) and the Anthology Fim Archives (1970) he contributed to the reinvention of cinematographic distribution, reuniting film-makers such as Jack Smith, Stan Vanderbeek, Stan Brakhage, Barbara Rubin and John Cassavetes under the name of New American Cinema. In the statutes of the group, drawn up by Mekas himself, he wrote: «we prefer films which are rough, unpolished, but alive; we don’t want rosy films: we want them the color of blood». 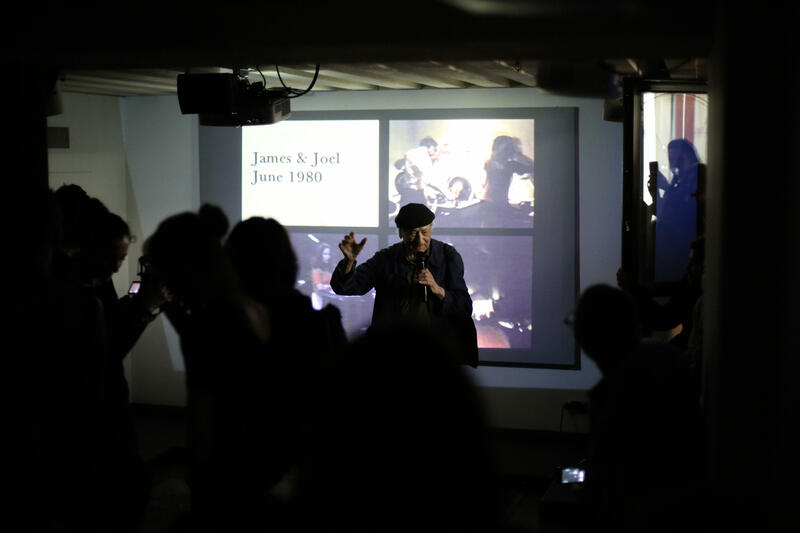 The work of Jonas Mekas has been exhibited in some of the world’s most important museums among which the Centre George Pompidou, the Serpentine Galleries, Hermitage and MoMA PS1. In 2002 the artist took part in Documenta XI and in 2003 he participated in the Venice Biennial. Again in the Venice Biennial in 2005, he was invited to represent the Lithuania National Pavilion. In a journey through time to the boundaries between cinema and art, Jonas Mekas is an eternal experimenter. And it is right here, between everyday life and eternity that his work finds it’s just dimension. Between the stream of life and its montage, timeline and lifetime. The approach to Internet was therefore a natural step and since 2006 the web site www.jonasmekasfilms.com is like a great multimedia diary where real life becomes images. Mekas explores new temporal dimensions where cinema, the Internet, performance and real life intersect. The Internet Saga is dedicated to the poetry of this fusion. To Jonas Mekas. The documentary of his recent trip to Venice has been produced by Fashion Film Festival Milano.